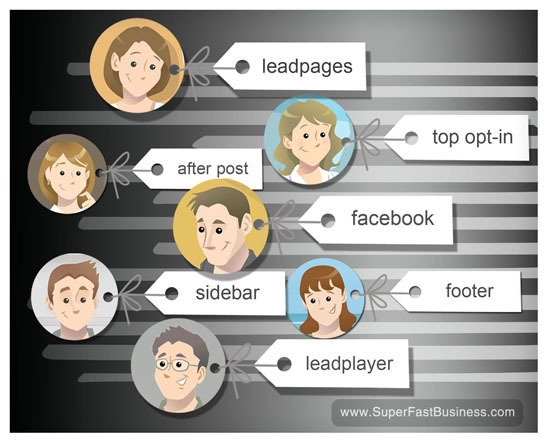 Do you want to know how you can track your leads? Do you know where your best leads are coming from? Join the next batch of SilverCircle members. Sign up now! James Schramko here with this week’s Internet marketing news. And I’m going to be talking about how to connect with strangers. Don’t worry, it’s not stranger-danger. Plus, we’ll be talking about tagging your source for incoming leads, plus we’ll talk about how much knowledge you probably have that you may not be aware of. What Really Gets The Engagement Up? One of the greatest threads this week was about controversy and engagement. What was determined is that if you can polarize people, if you can take a position on things, and be controversial, you’ll engage more. You know, rant off and get a lot more shares. If you’ve got a strong opinion about something or if you ask for people’s opinion, you might find that really gets the engagement up. This can help on Facebook with EdgeRank. You can also have people sharing your post or talking about it. Now of course you generally want to make sure that it’s within your best interest for people to be sharing this information. So before you go on a rant, just consider the negative implications as well in case you get it wrong. And maybe just avoid some of the “chargiest” subjects, as my friend Ezra would say. Let’s talk about tagging. A good CRM system will allow you to track the source of your leads. Now, I’m using Office Autopilot and it has a tag system so I can actually track the source of each tag. So I know that a lead came from Facebook or from the top opt-in on my page or the sidebar opt-in or the footer or the after-post or the LeadPlayer or the lead pages. I can track all of these just by adding a source tag. It’s got the source and where it came from. Now I know when I’m building my list where the most leads come from. Of course this helps me redesign my site; not just my primary site, but my secondary site and my third site. Because I can take what I’ve learnt from one and put it onto the other. That’s why tracking the source of your inquiries is so important. If you use good quality CRM software, this will be something you can do from now. Chances are, you know a lot more than you think you know. If you’ve been around an Internet community, like SuperFastBusiness, then the stuff we talk about there becomes so normal that you don’t realize until you get out to the rest of the world that you’re talking some form of alien. And normal people will look at you and scratch their head wondering what you’re talking about. But you know so much. You possess more Internet business power on your pinky than the average business owner does for the entire staff. So, use it wisely, choose your fights carefully. Go out there and help people if they need help and they’ll happily pay you for this knowledge. You should get a good return on your investment for the time you spent inside SuperFastBusiness when you go and help people and they see a commercial value to that. Finally, connecting to strangers. I’m lucky enough that we have a great friend Dean Hunt inside SuperFastBusiness and he’s a master at striking up connections with people who he wants to meet. And he’s got a system to do this. He’s shared his best tips inside SuperFastBusiness, I do hope you check out that thread because it can really help you become far more influential and build up your contact base much faster. So thanks Dean for posting that golden content and I really think this post is going to help people find out how they can grow their business way faster. I look forward to seeing you inside the forum. I’m James Schramko. That’s us for another week with Internet marketing news. Which of these tips are you currently putting into practice? Tell us more about it in the comment box below. I didn’t get audio with the video. Listened to the audio separately.